Tabbed together and dip brazed to form a flat fully EMI/RFI enclosure. Stainless steel hardware (pems) installed. 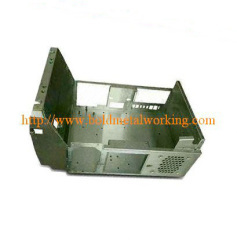 We manufacture precision sheet metal chassis . We manufacture and export precision engineered chassis. These are available in different sizes. 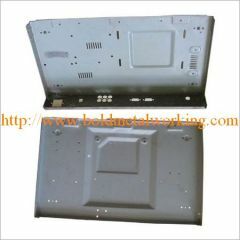 Group of sheet metal chassis has been presented above, want more	sheet metal chassis , Please Contact Us.